A specialist events haulage company which has worked with singer Robbie Williams has stopped illegal stowaways on its lorries coming from the continent after installing SmartWitness in-vehicle CCTV cameras. 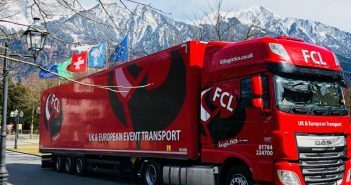 Drivers from FCL Logistics in Staines, Middlesex, have used the cameras to stop illegal immigrants from trying to break into the trailers of its 15-strong fleet when they have stopped or are coming into ports. Staff have also been able to alert other drivers from other fleets of stowaways attempting to enter vehicles in the port. The summer months usually see peak numbers of stowaways trying to illegally gain entry to the UK and hauliers face fines of £2,000 for each illegal stowaway and there were record fines of £7.8 million last year, with 3,552 penalty notices - a rise of 49%. Martin Cowie, logistics manager at FCL, decided to install the SmartWitness cameras on the fleet's articulated trucks and vans over the last two years on the advice of his insurers. He said: "It has been a great success and I cannot imagine ever having a fleet without the cameras in future. "They have been particularly useful in Calais and other ports in alerting our drivers and their colleagues from other fleets about the problem of illegal stowaways. "The cameras have captured a number of incidents where stowaways have tried to get on vehicles and we have been able to take preventative action and warn other drivers about incidents the cameras have picked up. "This is an industry-wide problem and it is important that we work together to stamp out the problem. 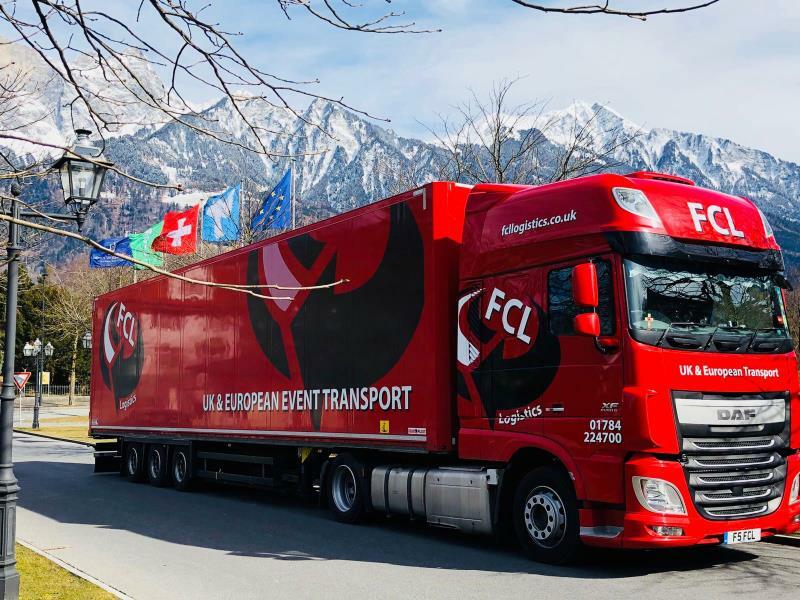 FCL trucks regularly travel throughout Europe servicing conferences, music festivals, trade shows, exhibitions and other events. They have worked with superstars such as Robbie Williams and other leading singers. Mr Cowie said that he was advised to install the SmartWitness cameras as an extra safety measure by his insurer. SmartWitness provide 360 multi camera solutions for HGVs which provide footage direct to monitors in the cab and also have rear door sensors and cameras can also be installed in the trailer, so the driver is aware at all times of any possible break-ins especially at vunerable times when the lorry is stationary. SmartWitness CEO Paul Singh said: "We have a number of big clients who regularly cross the channel like FCL and we delighted to say that none of our clients has been fined over illegal stowaways. The cameras are a fantastic way to guard against this. Stowaways tend to avoid vehicles with cameras fitted because they know they have a better chance of being caught and obviously by installing cameras fleets are showing to the Border Force that they are taking every action possible to stop the problem. FCL boss Martin Cowie added: "We did it primarily as a safety measure for the drivers and it has proved to be highly effective. "It is nice to know that if we are ever hit by any bogus cash-for-crash claims that our drivers are completely protected and their innocence can be proved by the footage. Mr Cowie said the firm's drivers had welcomed the introduction of the cameras and there had been no complaints about their activities being monitored. He said: "We are very lucky to have an excellent team of drivers who realise that the cameras are there for their own protection. They understand that introducing the cameras is a necessary safety measure that all fleets need to take.”Record numbers of fines were issued last year to lorry drivers carrying illegal immigrants into Britain. Drivers of heavy goods vehicles (HGVs) - the overwhelming majority going through Calais - were hit with 3,552 penalty notices last year, equivalent to one every two hours. It was a 12% increase on the 3,151 fines imposed the year before and had risen more than five-fold on 2011-12 when just 648 were issued. Overall, hauliers had to pay £7.8million in fines last year – an increase of 49 per cent on the £5.2million imposed in 2015-16. Less than £1million in penalties were issued six years ago. Under rules operated by the Border Force, drivers can be fined up to £2,000 for each migrant found at the British border. They can appeal against it by proving that all reasonable care was taken to secure their vehicle such as installing cameras. But hauliers have been confronted by migrants wielding guns, iron bars and knives as they try desperately try to clamber aboard trucks in northern France which are heading for the UK. 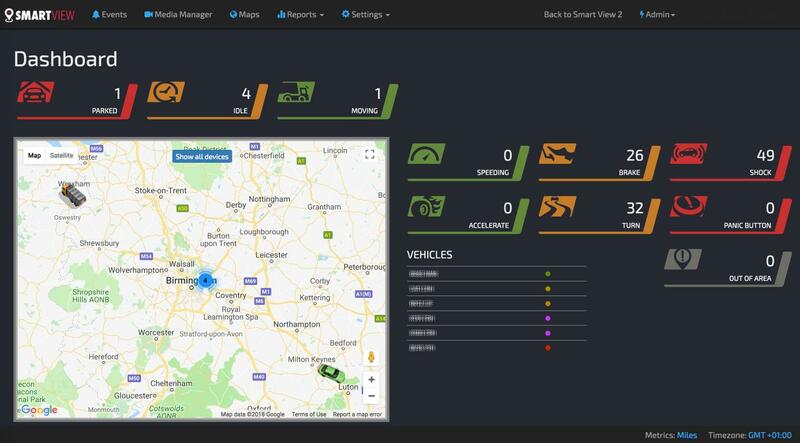 SmartWitness is the UK's biggest fleet in-cab camera firm, helping clients to improve safety, eliminate fraudulent cash-for-crash claims and make significant savings on insurance.